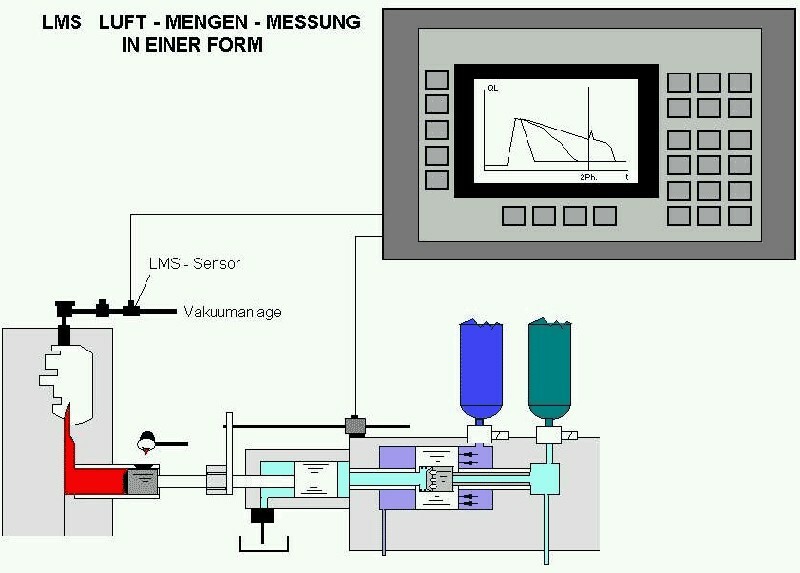 Cavity sensor for die casting processes (Fig. 1) which is built in the vacuum supply leading to the die cast mold and which records the amount of air during evacuation. A quality improvement of castings is often achieved by evacutating the casting mold (see Eine Verbesserung der Qualität von Gussteilen kann vielfach durch das Evakuieren der Gießform erreicht werden (siehe Vacuum-assisted die casting, Multi-level vacuum process). However, the remaining system time for evacutation the die casting mold is too short for most molds which has the effect that very high extraction rates have to be installed. The result is that the extraction valve clearance (above a wash board or a piston valve) in most cases is too small and only has a limited effect. A blocking process sets in which occurs under certain pressure conditions at the narrowest place: in general, this is the air valve. In its cross section, gasses can achieve sonic speed through adiabatic expansion. This blockade prevents a further gas extraction which incorrectly results in negative pressure. If the reasonable pressure now is interpreted as the prevailing pressure in the mold, production is performed under incorrect conditions due to the mistaken interpretation. If the second phase (mold filling) is released because of the alleged vacuum, the mold is not completely ventilated and the vacuumcasting quality is doubtful. For this reason, it is useful to measure the extraction quantity (evacuated amount of air) with an LMS air flow sensor from the mold and not the developed negative pressure alone. 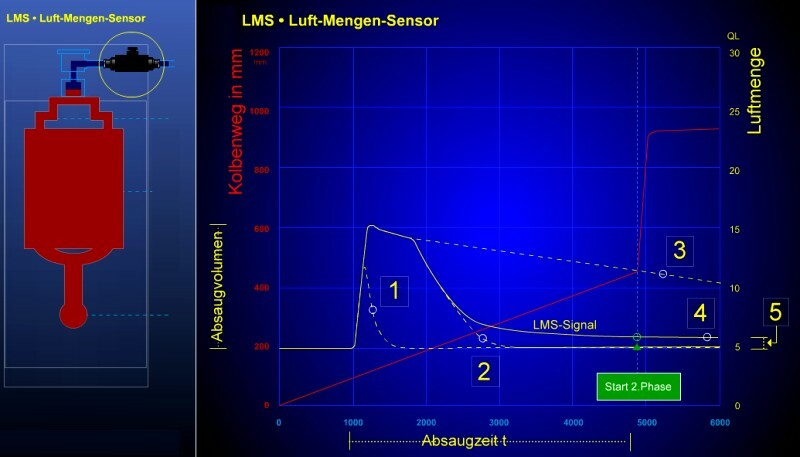 Installation position of the LMS sensor is shown in Fig. 2. The incorrect negative pressure measuring in a die casting mold can be prevent through a air flow measurement using an LMS sensor. The graphical measuring results enable the correct interpretation and show the mold evacuation curve (Fig. 3). 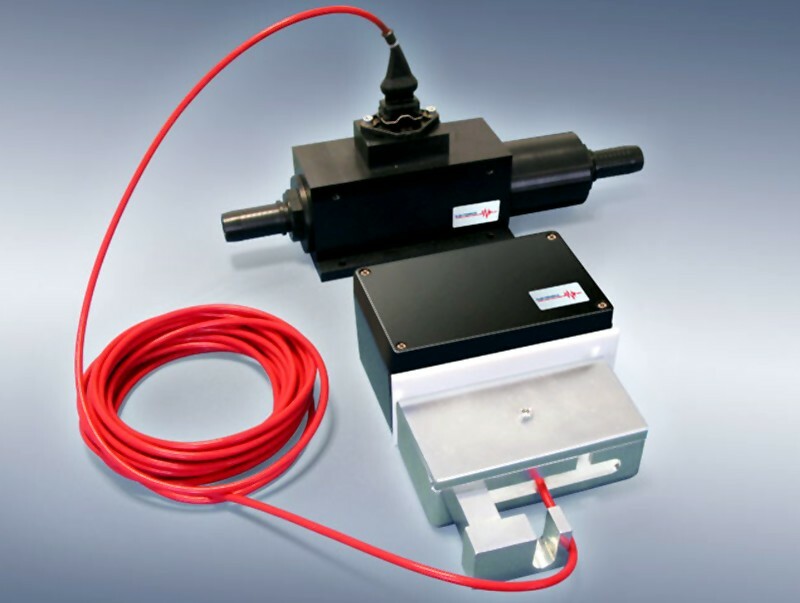 In addition, the sensor can determine leakage air percentages which are present in the mold.